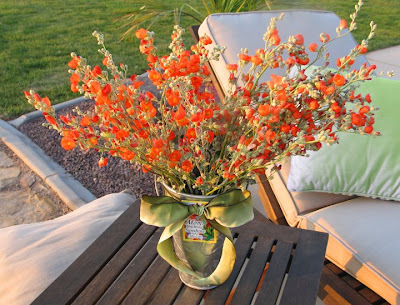 Inspiring Ideas with artist Jeanne Winters: Bouquet for Mom! Mother's Day is Sunday, May 11th. Are you ready? 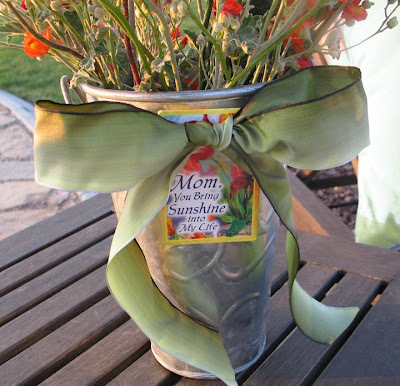 If not, here's a fun presentation idea for Mother's Day flowers: What mom wouldn't love to receive flowers?! Put some bright stems in a neat reusable tin bucket, add a ribbon ... and here's the twist ... a sentiment magnet!! The magnet will stick to the metal vase and double as your gift tag! Have fun with this one! You can do this idea for other occasions or gift recipients, too. Fun magnets will work for any kind of theme. Or even just to have as an accent on a foyer or side table. Seriously, you should write a book. I love how your crafty ideas are with household items...things that you can possibly find at yardsales and such. I'm all about inexpensive beauty.